August is birthday month around here. My sisters and I are all August babies (yeah Leos! ), so our house is pretty cake-filled during the last month of summer. Needless to say, you’re going to see a bunch of cake pictures up here this month. 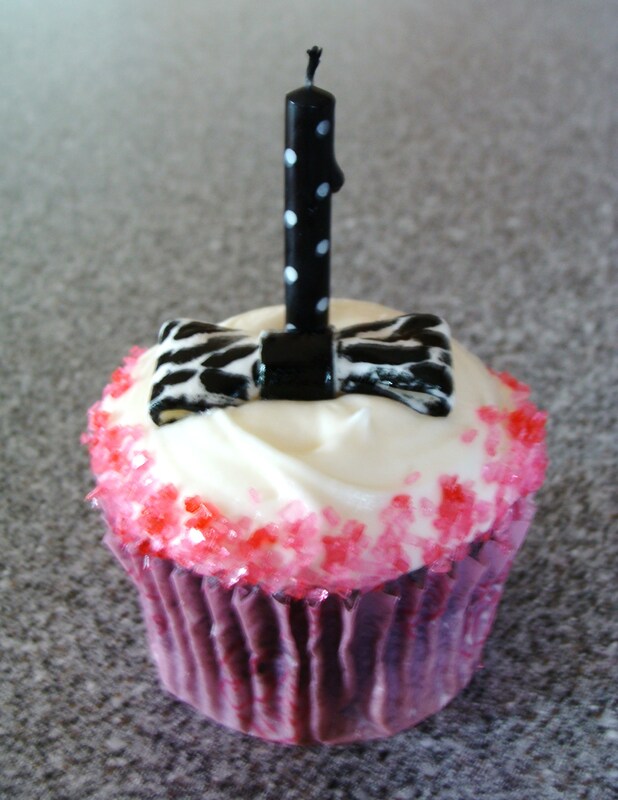 This cupcake, the first, was for my middle sister’s birthday. 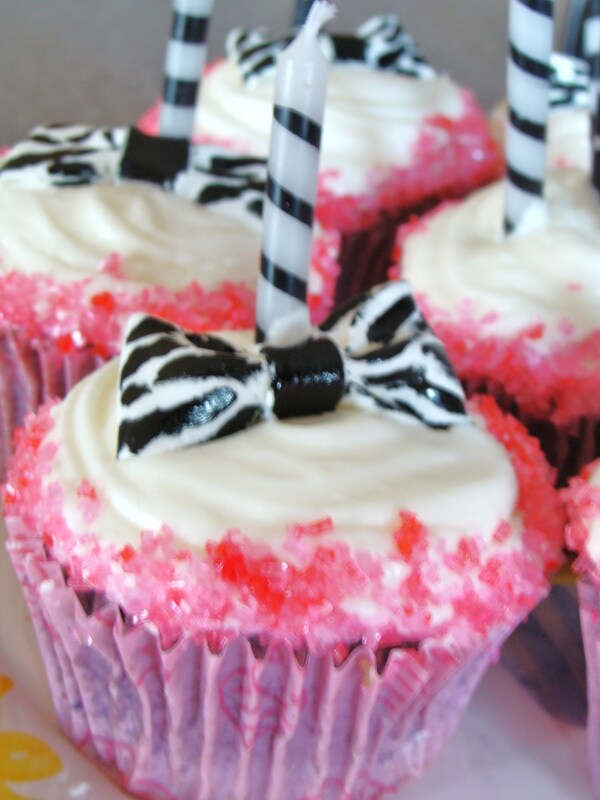 She’s more than a little obsessed with animal prints and initially requested a hot pink carrot cake with zebra print. Then we downgraded to cupcakes. Then we got a big mess of fresh blueberries and decided she would have blueberry birthday cupcakes. I used this recipe here, which I found on Food Gawker, one of my favorite recipe sources. The recipe was pretty darn good. The cupcakes were moist and extremely flavorful. My only complaints were that I found the texture a little dense for a cupcake and that the flavor–though it was absoultely delicious–was a little too reminiscent of a blueberry muffin. That being said, I’d definitely make them again, maybe using cake flour or something this time. The only change I made to the recipe was adding another 1/4 cup or so of the puree. My cupcakes didn’t achieve that dark purple color–they were more lavender, but that was ok. I topped them with my favorite cream cheese frosting, which I will share another time. The bows are fondant with painted stripes and I tinted the sanding sugar with an excellent technique I learned from reading the ever sage wisdom of Bake at 350. I also made homemade cake batter ice cream, which turned out AMAZINGLY, but I am also too lazy to type out that recipe and will post it at a later date. In the meantime, you can start on the cupcakes.